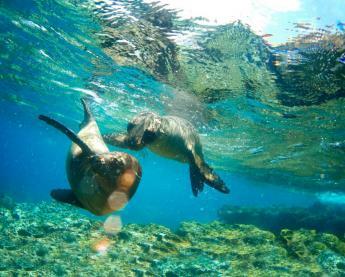 Embark on the Treasure of Galapagos to explore the beauty and wonder of the Galapagos' central islands. 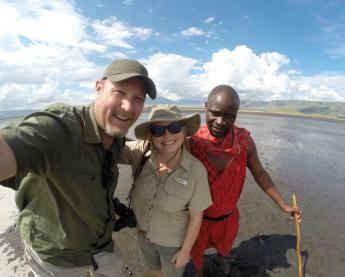 Indulge yourself in the picturesque beauty of the unique landscape, relax on the beach, do some exploratory snorkeling, and wander to the hidden center of the islands on this unique and exciting 5-day adventure. 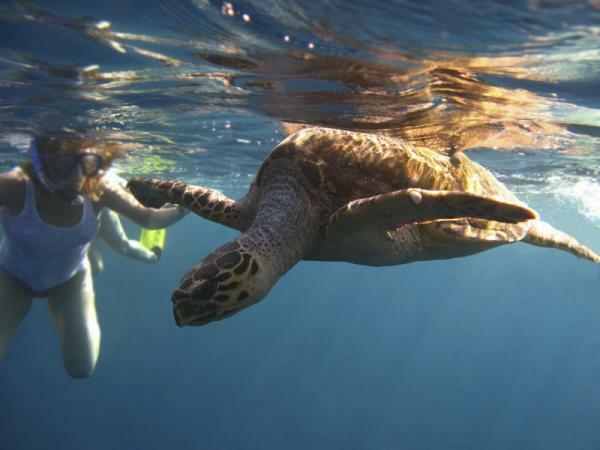 Delight in the frolicking sea lions that love to swim with people or get up close and personal with the incredible giant tortoises that make their home here. Arrive at the airport and get transferred to the boat for check in and lunch. 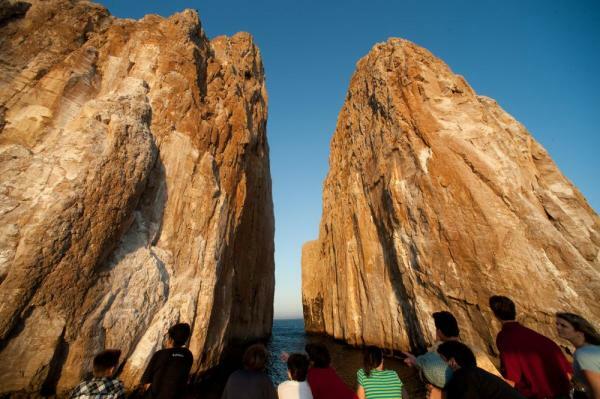 Start on your first excursion with a visit to Santa Cruz Island. Enjoy hiking and an educational visit to the Charles Darwin Station to view the tortoises in various stages of life. This facility helps prepare tortoises for reintroduction back into their natural habitat. Stretch out your hand and interact with these gentle giants. In the morning, make your way to Santiago, a volcanically active island located in the west-central area of the archipelago. Upon arrival, explore Santiago's famous lava flows, which are vast enough to be seen from space. 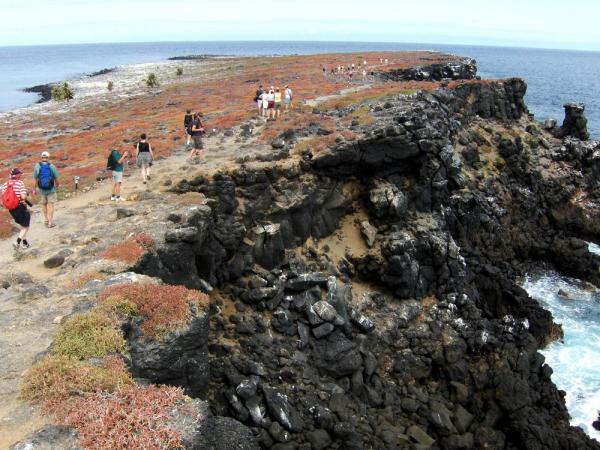 While on Bartolome you can see interesting formations of lava and cinder cones. A wooden staircase leads to the top of the island where there are beautiful views of the nearby beaches. Pinnacle Rock makes this island one of the most visited and photographed. Disembark on North Seymour, a beautiful, uplifted island strewn with boulders and rich in birdlife. Observe the famous blue-footed boobies and magnificent frigatebirds as they perform their fascinating courtship rituals and attend to their nests. 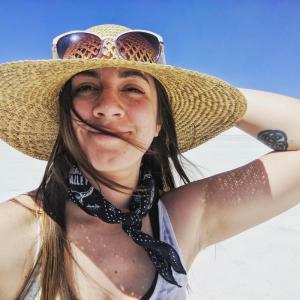 From there, sail for Mosquera. 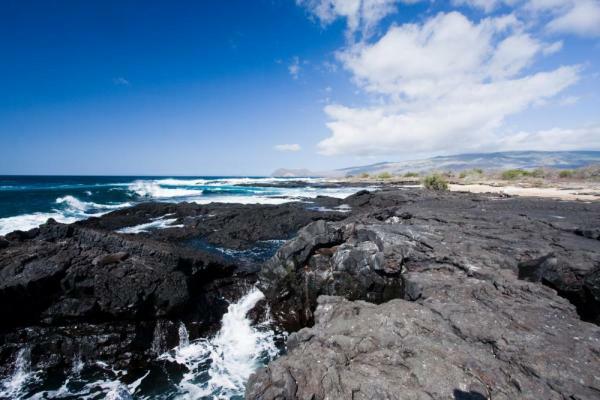 Home to a diverse coral and rock reef, the island is also home to a large population of sea lions and shorebirds. 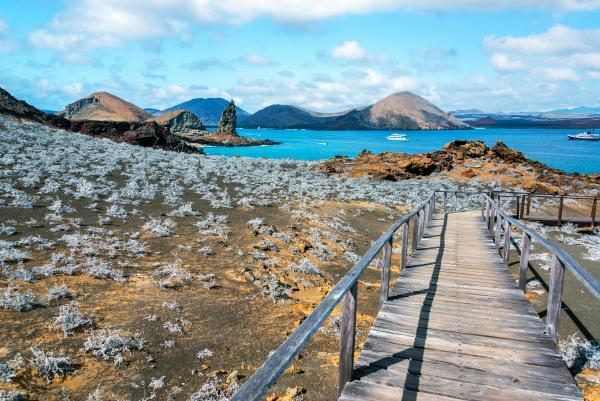 South Plaza Island, though small in stature, is home to some of the Galapagos' most interesting creatures. Notably, hybrid iguanas are found in abundance along the island's shores. These species are a cross between marine and land iguanas. 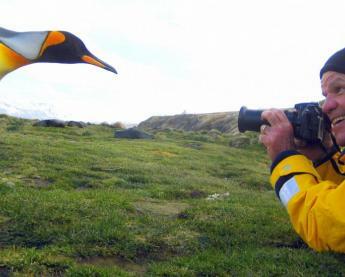 The rugged cliffs of the island are also home to a variety of entertaining sea birds. From South Plaza, sail for the coast of San Cristobal and Cerro Brujo. Cerro Brujo offers a varied and photogenic landscape, from where you can view Kicker Rock and the southern part of upper San Cristobal. The Interpretation Center on San Cristobal is full of educational information about the evolution of the Galapagos Islands and animal life in the islands. Transfer out to San Cristobal’s Airport and return back to the mainland.